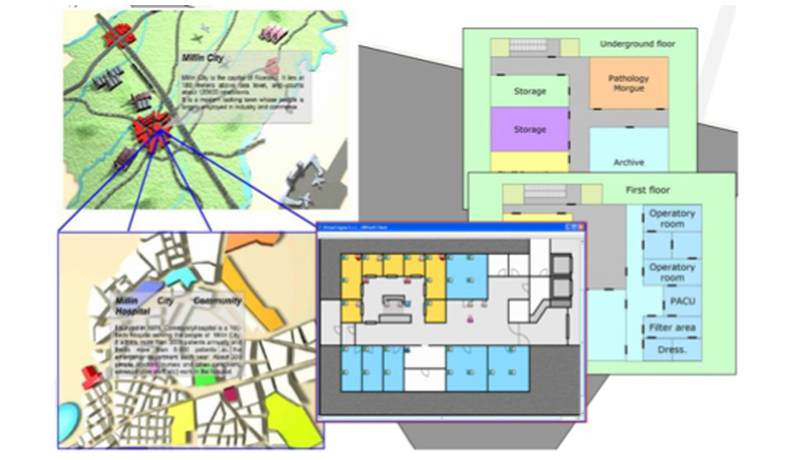 ISEE was originally developed in an EU Leonardo da Vinci Project: "ISEE - Interactive Simulation for Emergencies". The Free University of Brussels was the initiator of the project in which (medical) universities right across Europe participated, such as the Università del Piemonte Orientale. 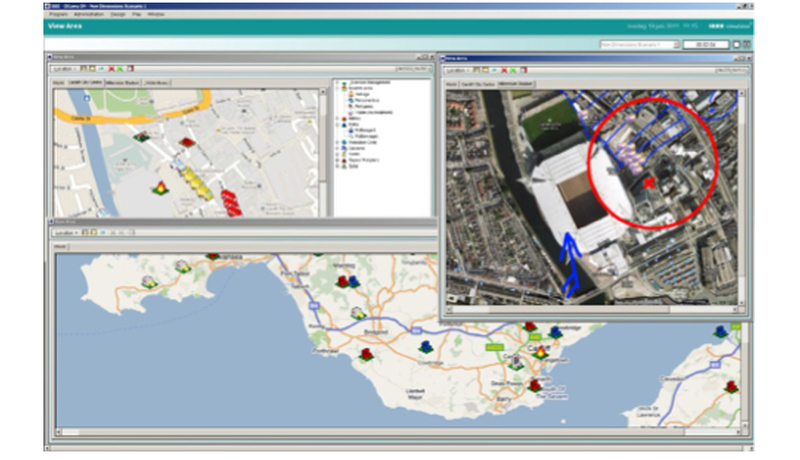 ISEE simulator is a 2D-map based module which simulates the whole region or country from which rescue resources are sent to the incident area. 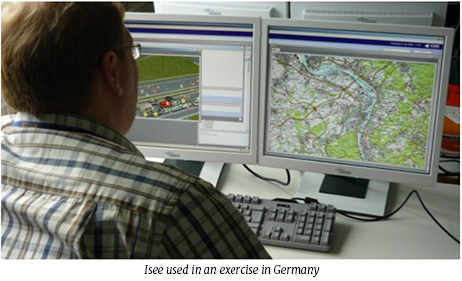 ISEE simulator is designed to exercise the logistics management in an emergency or disaster. In ISEE simulator all vehicles, staff and materials required in a response to a large scale emergency are simulated together. 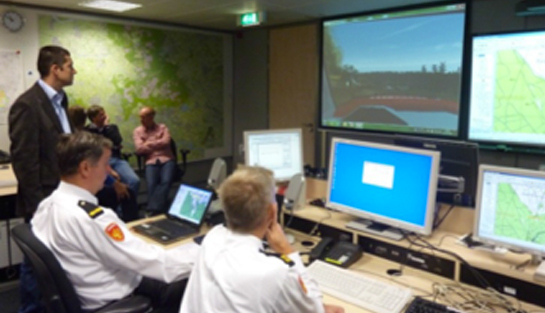 During an exercise, the exercise participants can manage the resources for which they are responsible and order them to deploy to any location within the region represented within ISEE simulator. The travel simulator in ISEE simulator calculates realistic travel times for each individual transport entity in the system. Exercise participants must also manage all virtual staff to perform their respective tasks. All virtual humans in ISEE simulator have competencies which determine their capabilities and behavior including for example extrication, decontamination and treatment times. The instructor can create any type of incident in ISEE simulator and control the circumstances under which the participants must operate. ISEE Simulator is used is in a computer-supported tabletop exercise. Student(s) having the role a key decision maker in the emergency management chain sit behind an ISEE simulator screen. Timing The implementation of a customer-driven configuration into ISEE has a lead time of 2 months after full delivery of all the logistics data which needs to be provided through rescue services. 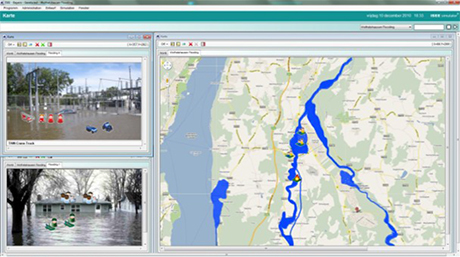 Development ISEE is software technology developed and owned by E-Semble b.v., The Netherlands. The software is sell and distributed in Italy by iNovaria Srl. The ISEE module in the XVR simulation platform used DotNet and other web-technology in addition to the Game Engine technology.